Nos dias que passei fora de casa não tive oportunidade de bordar. Os bordados que estou a fazer requerem atenção que não lhes podia dar. Optei por fazer um trabalho mais fácil e mecânico. Those days I was off I hadn’t the opportunity to embroider. The embroideries I’m doing apply for attention I wasn’t able to do. I choose to do something easier and mechanical. Sacos para compras em crochet. No primeiro segui, rigorosamente, este tutorial. Nos outros dois fiz mais uma volta no final, para reforçar as alças. 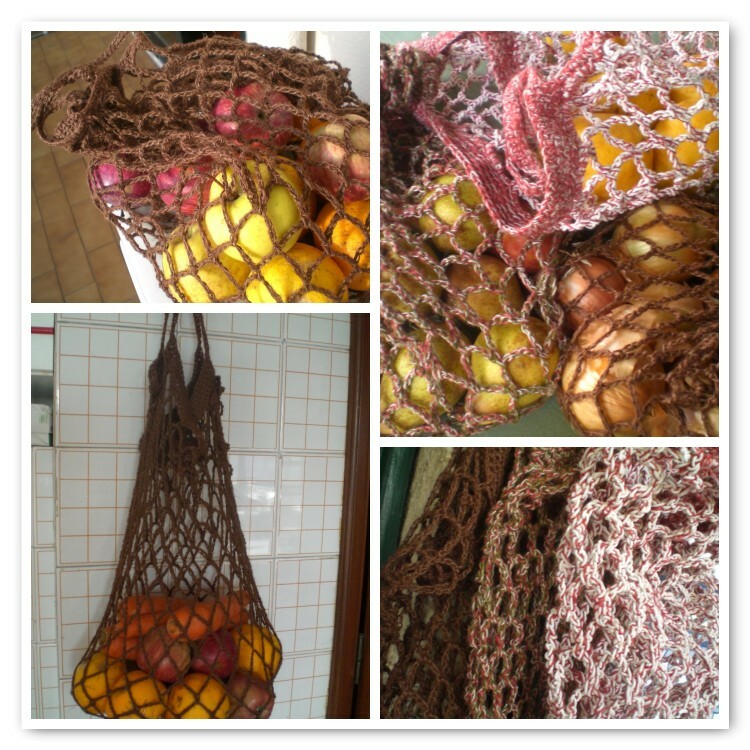 Crocheted shopping bags. The first one was made strictly following this tutorial. In the others I’ve made one more round at the end to thicken the handles. It’s very easy and fast to do. This entry was posted in crochet and tagged bags and purses, crochet by meri. Bookmark the permalink. looks like a real quick/ easy project to make and it's lovely too! Wonderful job! I haven't seen those for a long time. Have a lovely Sunday! These are lovely, Meri. I love using my crocheted shopping bags and mine aren't anywhere near so pretty as yours. You've encouraged me to make more! Very nice !!! Thanks for sharing !! !